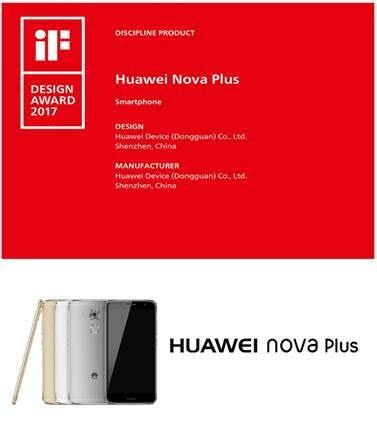 New Delhi, 17 February 2017 : Huawei Consumer Business Group announced Five of its Devices were awarded the prestigious iF Design Award at the 2017 iF International Industrial Design Forum held in Hanover, Germany. This year the following Huawei devices were recognized for their outstanding industrial design: HUAWEI Mate 9 Pro, HUAWEI Mate 9 Pro Smart Cover, HUAWEI nova Plus, HUAWEI MediaPad M3 and the HUAWEI FIT. Founded in 1953, the iF Design Award is distributed annually by the iF Industry Forum Design, the oldest industry design institute in Germany. It is known globally for being independent, precise and reliable. 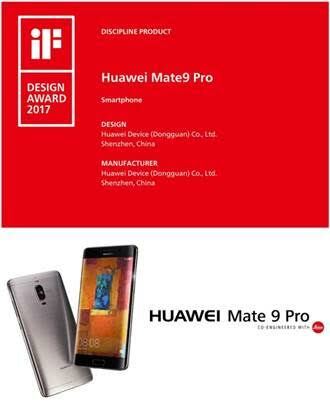 Huawei is a frequent winner of this respected award, as its devices are built with the world’s leading industrial design concepts and technology innovation. This perfect marriage of exceptional features and practical functionality is what has won over consumers from around the globe. 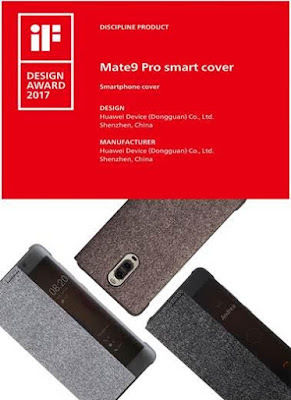 · The Huawei Mate 9 Pro features a perfectly symmetrical body and a 2k curved display. The curves on the front of the phone are precisely replicated on the back, which provides users an unparalleled grip. · Huawei also strives to create accessories for its smartphones that are both practical and attractive. The HUAWEI Mate 9 Pro Smart Cover is made of high-quality, eco-friendly PC material. It is compression and drop-resistant, durable and has a tight design on top, offering better smartphone protection. Additionally, the ingenious design of the translucent side window makes it even more convenient to use. · The HUAWEI nova Plus, a flagship product for a younger generation, represents a new design language. It is the first Huawei product to feature G3 curvatures on its front corners, giving the device an extremely delicate and soft feel. Forged with aviation-grade 6 series aluminum-magnesium alloy, the back side of the device is curved and metallic, polished by an advanced sandblasting process and hairline finishing. The metal body makes the smartphone glow appear dynamic and radiant. 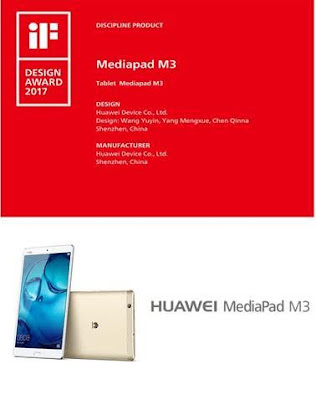 · Co-designed and engineered with audio expert Harman Kardon, the HUAWEI MediaPad M3 features a 2k resolution display and dual-speaker design with superior sound quality that combines to deliver an incredible, immersive audio/video experience. · The HUAWEI FIT fitness watch, with its round body design, is a fashionable and sporty product. The surface is made of aluminum and comes in Silver or Gray. It also comes with a multi-color strap, representative of fashion-forward look. In recent years, Huawei has been awarded a series of internationally-renowned recognitions for its smart devices. 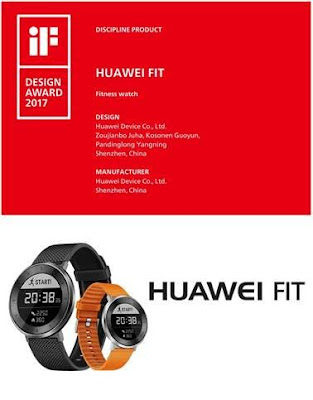 The HUAWEI Watch and HUAWEI Nexus 6 won the iF Design Award in 2016. Additionally, at major industry shows such as CES 2016 and MWC 2016, Huawei won 16 and 15 awards respectively, for its flagship devices. Its flagship devices are also in the spotlight year-round, with the HUAWEI P9 winning the EISA award and the HUAWEI Mate 9 winning the best smartphone award from major German technology media outlets Conncet, Chip and Areamobile. At CES 2017, Huawei won eight awards including “Best Smartphone” by The Wall Street Journal. Huawei is dedicated to evolving its craftsmanship and making bold moves in the field of industrial design. It continues to evolve and polish its design language across its global design centers, while embracing forward-looking design concepts and cross-field design. For example, Huawei’s ParisAesthetics ResearchCenter in France, Design and Research Center in Japanand Industrial DesignCenter in Finland have adopted and employed some of today’s most cutting-edge design concepts. Further, to connect with its consumers’ lifestyles and emotions, Huawei is committed to forging partnerships with world-class design names such as Swarovski, Porsche Design and a number of fashion design houses. The jointly designed HUAWEI WATCH Jewel and Elegant and Porsche Design HUAWEI Mate 9 have become favorites of consumers around the globe.